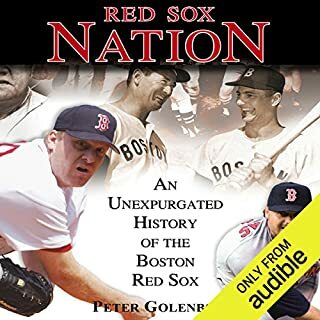 Red Sox Nation is the finest, most comprehensive history of this storied franchise, told from the point of view of the people who lived it. From every disappointment to each triumph, culminating with the 2004 World Championship, Red Sox Nation takes you into the dugout and onto the field to relive each moment. 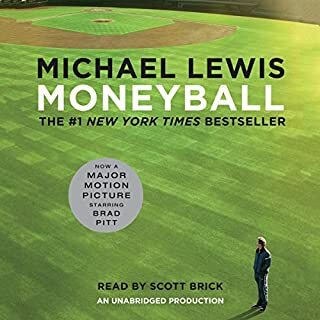 Early in 2004, two writers and Red Sox fans, Stewart O'Nan and Stephen King, decided to chronicle the upcoming season, one of the most hotly anticipated in baseball history. They would sit together at Fenway. They would exchange e-mails. They would write about the games. And, as it happened, they would witness not only the greatest comeback ever in sports, but the first Red Sox championship in 86 years as the team put '86 behind them and eighty-sixed the Curse. The New York Yankees. The Boston Red Sox. For a hundred years, no two teams have locked horns as fiercely or as frequently, and no two seasons frame the colossal battle more perfectly than 2003 and 2004. 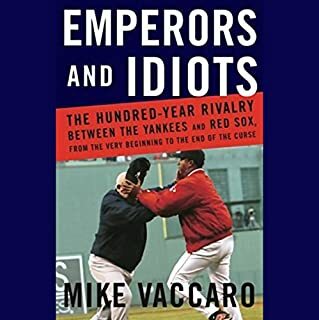 Now, with incredible energy and access, leading sports columnist Mike Vaccaro chronicles the history of the greatest rivalry in sports, and the two stunning American League Championship Series that define a century of baseball. Brought all the Patriots history to life again! David "Big Papi" Ortiz is a baseball icon and one of the most popular figures ever to play the game. As a key part of the Boston Red Sox for 14 years, David has helped the team win three World Series, bringing back a storied franchise from "never wins" to "always wins". He helped them upend the doubts, the naysayers, and the nonbelievers and captured the imagination of millions of fans along the way, as he launched balls into the stands again and again and again. 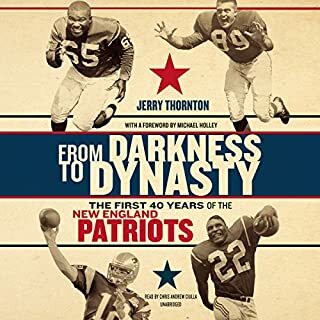 From famed manager Terry Francona, a lively, unvarnished narrative of his tenure with the storied Boston Red Sox... From 2004 to 2011, Terry Francona managed the Boston Red Sox, the most talked-about, scrutinized team in all of sports. In Francona the legendary manager opens up for the first time about his eight years there, as they went from cursed franchise to one of the most successful and profitable in baseball history. He takes listeners inside the rarefied world of a 21st-century clubhouse. 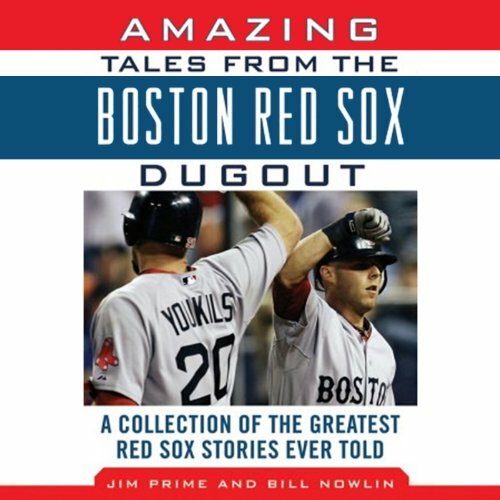 Authors Bill Nowlin and Jim Prime get down and dirty in the Fenway Park dugout, collecting the most sensational stories and juicy anecdotes about the beloved Boston Red Sox baseball franchise. The team was founded in 1901, so these colorful tales span several generations, touching on both triumphs and tribulations, and also revealing lesser-known narratives. Gary Telles’s performance recalls sportscasters of yesteryear, setting the perfect tone for this audio treasury. This is a must-have for serious students of the game. A huge treasury to delight Red Sox Nation. Founded in 1901, the Boston Red Sox have been making history for over a century. The passion of the players, the tragedy and triumph of the “Bambino’s Curse” - the Boston spirit comes alive in this collection of stories and anecdotes from Fenway Park. Any baseball fan will find this book irresistible. ©2002, 2012 Jim Prime and Bill Nowlin (P)2012 Audible, Inc. The book is a series of anecdotes, seemingly anywhere from one to several pages long. It is not organized chronologically or, as far as I can tell, thematically. Each section is titled with the name of the individual at the center of the anecdote, so a story on, say, Dom Dimaggio ends without warning, the narrator abruptly announces, for example, "Roger Clemens," and it's off to the races on his 20-K performance against Seattle. 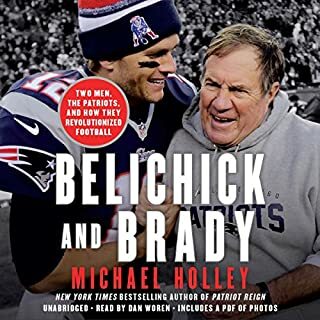 Probably fine in a book, but as an audiobook, it's like sitting next to a talkative and somewhat drunk old man at a Boston bar. The lack of context around each makes the perpetual shifting of time particularly hard to follow. Oh, Billy Rohr got the Impossible Dream season off to such a start....oh, wait! now we're considering Wade Boggs' penchant for chicken and, strangely, his marriage trouble...but there's no time to figure out what one has to do with the other, because now it's an apocryphal account of that time Harry Hooper threw a ball really far....oh, no time for that, Ted Williams is a fighter pilot now....and now the war must be over, because Wakefield is throwing knuckleballs that only Doug Mirabelli can handle...even an experienced Sox fan - one who likely knows most of these "Amazing Tales" - will find his or her head spinning. Rearranging the stories into chronological order may have made this listenable....but maybe not. Some of the anecdotes are interesting-ish...but not as much so as those in, say, Francona, Bouton's infamous Ball Four, or even The Baseball Codes. Was Amazing Tales from the Boston Red Sox Dugout worth the listening time? Probably not. Lifelong fans already have heard these along the way from the NESN crew or elsewhere, and casual fans will find it perplexing.